In Björköby village, the nature and the traditional archipelago buildings are combined in a unique way. Björkö island has an area of 72 km², and approximately 350 islands. The sea has always had an impact on life in the village, and fishing and seal hunting were the main sources of livelihood for a long time. In Björköby village, the old village structure has been maintained and the houses are built close together. The village road goes through the village and red painted houses form a uniform village environment in combination with the fields. The roads in the village are still in the same places as they were in the 1700s. The village centre has two grocery stores, a post office, bank, chemists’, church and parish hall. Some tourist attractions are also found here, for example the Björkö-Panike hiking trail, Björkö Wädshus, Torpet and Björkö camping area. The salting-house in Svedjehamn is a place where people gather in the summer. The salting-house was built in 1920, and was used for conserving fish until the 1980s. The salting-house has been renovated with the help of volunteers, and today you will find a summer café and boat museum there. The characteristic feature for people from Björkö is their feeling of community spirit. They have been forced to stick together, since a great deal of the work in the village has been done together. The effect of land-uplift on sea traffic can be seen in the development of the harbours. The harbour in Bodback was still used in the 1930s. Today, the harbour in Svedjehamn is becoming too shallow for larger boats, despite dredging the harbour and the channels. Therefore, in 1994 a new harbour for larger fishing boats was built in Vikarskat. 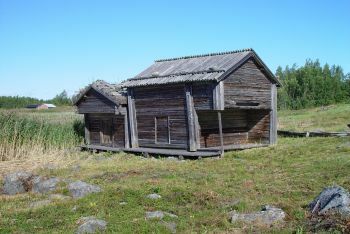 After the First World War, people became interested in building summer houses in Björkö and the surrounding archipelago. 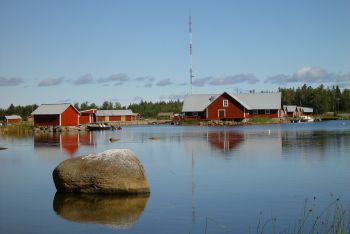 Today, there are approximately 250 summer houses and leisure time houses in Björkö and on the surrounding islands.